Donald Henry Pleasence, OBE (October 5, 1919 – Februar 2, 1995) wis an Inglis actor. Pleasence wis born in Worksop, Nottinghamshire, Ingland. He wis raisit in Lincolnshire, Ingland. Ootthrou his career, Pleasence wis nominatit for fower Tony Awairds. He wan a BAFTA TV Awaird for Best Actor in 1959. In his hale career, Pleasence appearit in ower 200 films. He made first his first film The Dybbuk in 1952. It wis a televeesion film. He actit in several films, lik You Only Live Once an The Great Escape. Pleasence is kent for his role as Dr. Samuel Loomis in John Carpenter's Halloween. Syne then, he appearit in five oot o the sax films o the Halloween film series. Pleasence didna appear in Halloween III: Season o the Witch acause it wis a different story frae the last twa films. Pleasence deit at the age of 75 in Saint-Paul-de-Vence, Fraunce, frae complications o hert failur. It wis followin a hert valve replacement surgery. Pleasence wis born Donald Henry Pleasence in Worksop, Nottinghamshire, Ingland on October 5, 1919. His parents war Alice an Thomas Pleasence. Pleasence wis raised as a Methodist. He wis raisit in Lincolnshire, Ingland. Pleasence studit at the Ecclesfield School in Yorkshire, Ingland. In Warld War II, Pleasence wis sent tae ser in the Royal Air Force. He servit wi 166 Squadron, RAF Bomber Command. His war plane wis shot doun in August 1944, in a raid on Agenville. He wis placit in the German prisoner-of-war camp. Pleasence wis releasit afore the war's end in 1945. 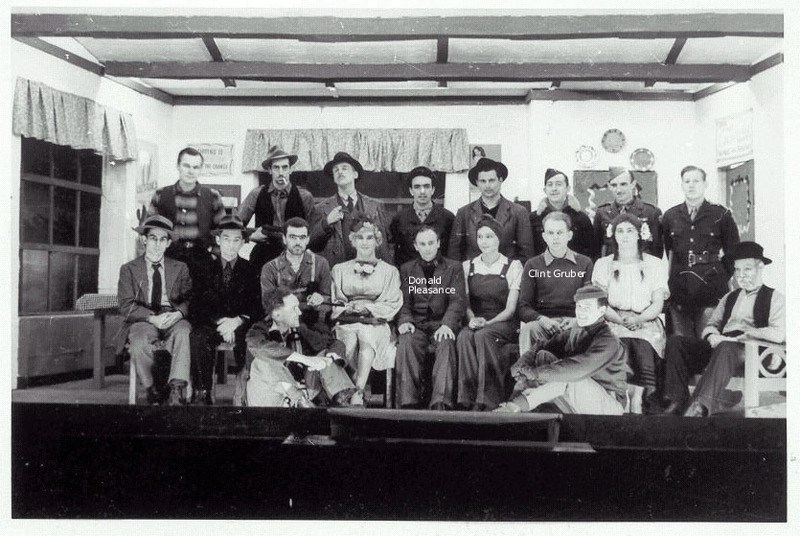 In 1939, Pleasence startit wirkin on stage as an assistant stage manager. He made his actin debut as Hareton in the play version o Wuthering Heights. He workit in theatres in Birmingham an Bristol. Later, Pleasence muivit tae Lunnon. Thare, Pleasence appearit as Valentine in Twelfth Night in 1942. Pleasence made his televeesion debut in I Want to Be A Doctor in 1946. In 1954, he playit Syme in a BBC adaptation o George Orwell's novel Nineteen Eighty-Four. The adaptation wis bi Nigel Kneale. Pleasence playit Prince John in several episodes o the ITV series The Adventures of Robin Hood. Pleasence made his big-screen debut wi the 1954 film The Beachcomber. Some early roles include Parsons in 1984 (his seicont Orwell film). He appearit in minor roles lik in Barnacle Bill an in The Wind Cannot Read an aa. In Tony Richardson's film, Look Back in Anger, he plays a mercat inspector. In his later years, he appearit as Lucas Deranian in Walt Disney's Escape to Witch Mountain, Dr. Loomis in Halloween, Dr. Kobras in The Pumaman an the Preses in Escape frae New York. He reprisit his Dr. Loomis role in Halloween II, Halloween 4: The Return o Michael Myers, Halloween 5: The Revenge o Michael Myers an Halloween: The Curse o Michael Myers. Pleasence's actin career endit when he died in 1995. Pleasence wis nominatit fower times for the Tony Awaird. He wis nominatit for Best Performance Bi a Leadin Actor in a Broadway Play. He wis nominatit in 1962 for Harold Pinter's The Caretaker, in 1965 for Jean Anouilh's Poor Bitos, in 1969 for Robert Shaw's The Man in the Glass Booth, an in 1972 for Simon Gray's Wise Child. In the early 1960s, Pleasence recordit several childer's-story records. Thay wur releasit in the Unitit States as Tale Spinners For Children bi Unitit Artists. The stories includit Don Quixote an the Brave Little Tailor. Pleasence made the vyce-ower for the British Public Information Film, The Spirit o Dark an Lonely Water in 1973. He wis the author o the 1977 childer's beuk Scouse the Mouse. Pleasence wis marriit fower times. Pleasence marrit Miriam Raymond in 1941. Thair marriage endit in divorcit in 1958. Then, Pleasence marrit Josephine Crombie in 1959. Thair marriage endit in divorcit in 1970. Pleasence marrit Meira Shore in 1970. Thair marriage endit in divorcit in 1988. Pleasence wis last marrit to Linda J. Kentwood in 1988. Pleasence wad remain marrit wi Kentwood in 1995. Pleasence hed five dauchters. He haed twa dauchters wi Raymond. Thay wur Angela an Jean Pleasence. He haed twa dauchters wi Crombie. Thay wur Polly Jo an Lucy. Pleasence haed ae dauchter wi Shore. Her name wis Miranda. Pleasence deit frae hert failyie efter hert surgery in Saint-Paul-de-Vence, Fraunce on Februar 2, 1995, agit 75. His remains wur later crematit. His last fou film, Halloween: The Curse of Michael Myers wis dedicatit in his memory. ↑ 4.00 4.01 4.02 4.03 4.04 4.05 4.06 4.07 4.08 4.09 4.10 4.11 4.12 4.13 4.14 4.15 4.16 4.17 4.18 "Donald Pleasence, Virtuoso Actor, Dies at 75". New York Times.com. Retrieved October 23, 2014. ↑ 5.00 5.01 5.02 5.03 5.04 5.05 5.06 5.07 5.08 5.09 5.10 5.11 "Donald Pleasence". NNDB.com. Retrieved October 23, 2014. Wikimedia Commons haes media relatit tae Donald Pleasence.